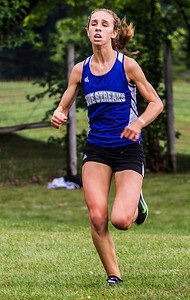 Kyle Grillot - kgrillot@shawmedia.com Woodstock senior Maura Beattie finishes the 3-mile race during the McHenry County Cross Country meet at the McHenry Township Park Saturday, August 31, 2013. Beattie came in first with a time of 17:52.5. 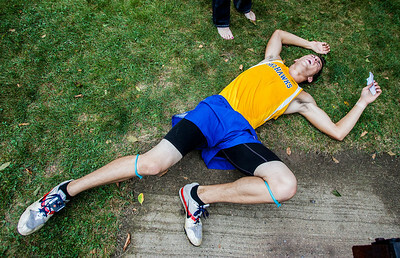 Kyle Grillot - kgrillot@shawmedia.com Johnsburg junior Noah Miller collapses after the 3-mile race during the McHenry County Cross Country meet at the McHenry Township Park Saturday, August 31, 2013. Miller finished 17th with a time of 17:13. "It's hard work, but its rewarding" Miller said, "it's definitely rewarding." 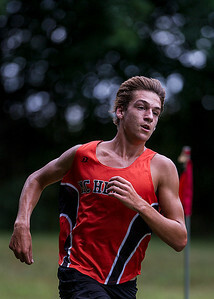 Kyle Grillot - kgrillot@shawmedia.com McHenry junior Jesse Reiser turns a corner during the 3-mile race of the McHenry County Cross Country meet at the McHenry Township Park Saturday, August 31, 2013. Reiser finished first with a time of 15:33.9. Kyle Grillot - kgrillot@shawmedia.com Huntley sophomore Keagan Smith (right) runs the 3-mile race during the McHenry County Cross Country meet at the McHenry Township Park Saturday, August 31, 2013. Smith came in fourth place with a time of 16:24.8. 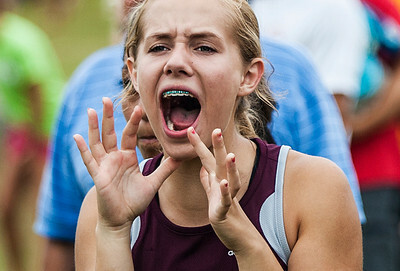 Kyle Grillot - kgrillot@shawmedia.com Prairie Ridge freshman Anna Kilhoffer cheers on her teammates during the McHenry County Cross Country meet at the McHenry Township Park Saturday, August 31, 2013. 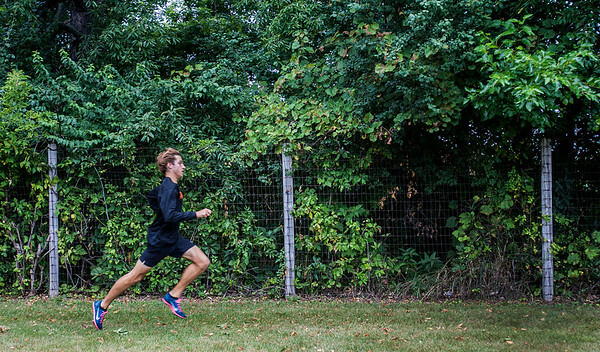 Kyle Grillot - kgrillot@shawmedia.com McHenry junior Jesse Reiser warms up during the McHenry County Cross Country meet at the McHenry Township Park Saturday, August 31, 2013. Reiser finished first with a time of 15:33.9. 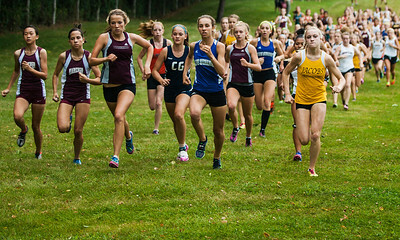 Kyle Grillot - kgrillot@shawmedia.com The girls leaders during the 3-mile race of the McHenry County Cross Country meet at the McHenry Township Park Saturday, August 31, 2013. 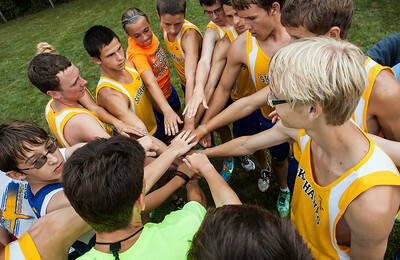 Kyle Grillot - kgrillot@shawmedia.com The Johnsburg team comes together before the boy's race during the McHenry County Cross Country meet at the McHenry Township Park Saturday, August 31, 2013. 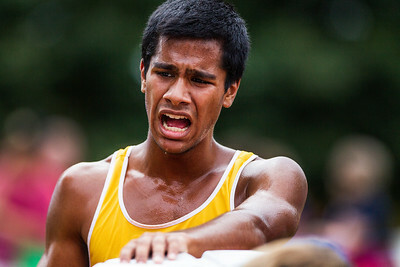 Kyle Grillot - kgrillot@shawmedia.com Jacobs senior Thomas Chirayil tries to catch his breath after the 3-mile race of the McHenry County Cross Country meet at the McHenry Township Park Saturday, August 31, 2013. 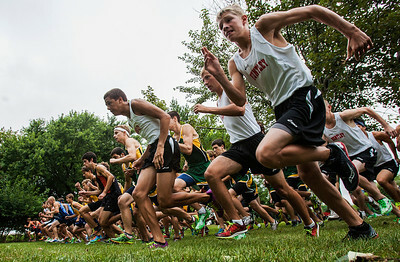 Kyle Grillot - kgrillot@shawmedia.com The varsity boys take off at the start of the 3-mile race during the McHenry County Cross Country meet at the McHenry Township Park Saturday, August 31, 2013. 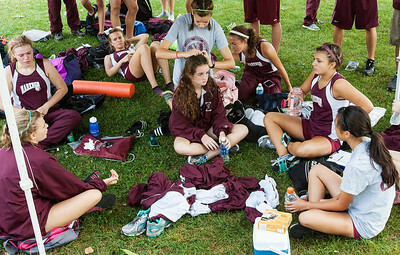 Kyle Grillot - kgrillot@shawmedia.com The Marengo team relaxes under their tent together after the McHenry County Cross Country meet at the McHenry Township Park Saturday, August 31, 2013. 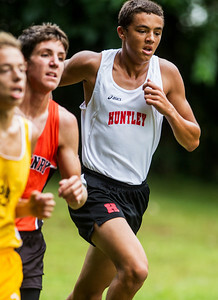 Huntley sophomore Keagan Smith (right) runs the 3-mile race during the McHenry County Cross Country meet at the McHenry Township Park Saturday, August 31, 2013. Smith came in fourth place with a time of 16:24.8.